This is pretty great idea. 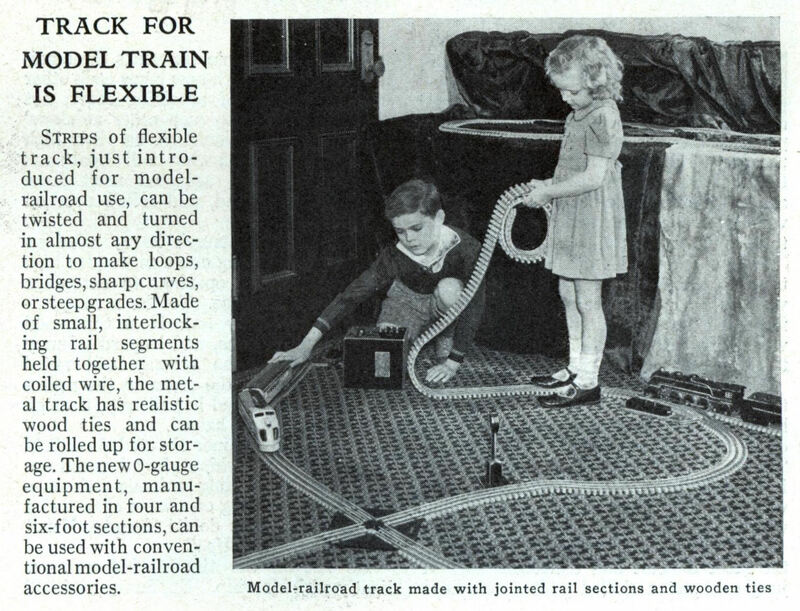 Strips of flexible track, just introduced for model-railroad use, can be twisted and turned in almost any direction to make loops, bridges, sharp curves, or steep grades. Made of small, interlocking rail segments held together with coiled wire, the metal track has realistic wood ties and can be rolled up for storage. The new O-gauge equipment, manufactured in four and six-foot sections, can be used with conventional model-railroad accessories. 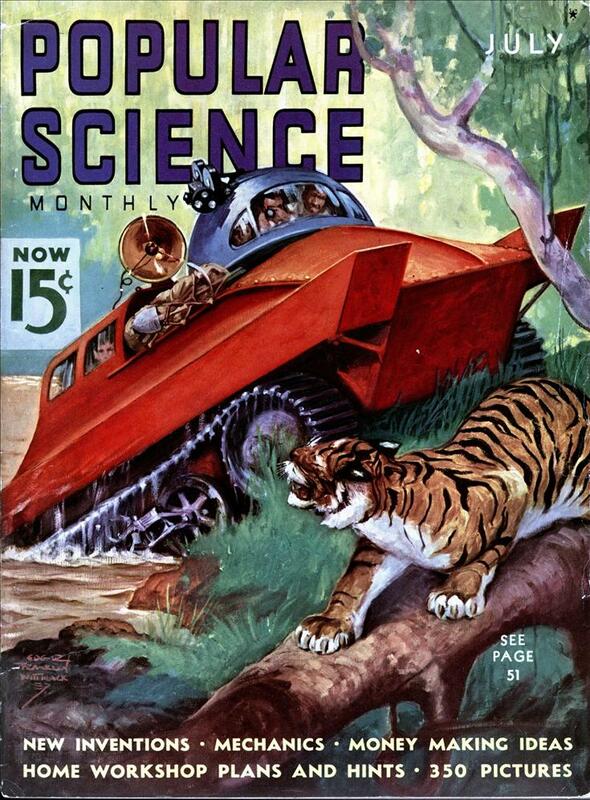 I wonder whatever happened to this idea. *–what they called Hertz in those days. All joking aside, in reality model trains typically use somewhere around 12 volts DC. That transformer is amazingly large! I see there is a second train about a foot from her foot, so I suppose there was going to be a derailment pretty soon after the photo was taken. Flexible track is still made and is the preferred method for large layouts. Only it doesn’t come in rolls anymore. The O gauge track shown, however, traditionally uses low voltage AC, the center rail being one conductor and the two outer rails the other. This allows one to create return loops easily, but makes reversing somewhat tricky. Locomotives had to have some sort of reversing switch built into them, often a stepper sort of mechanism so that it would alternately start up from a stop running forwards and backwards. In any case, the voltages are low enough that sis shouldn’t get a noticeable jolt unless she starts gnawing on the track or something.